Are you applying for passport? Then all you need to do is to go to the Office of Consular Affairs of Department of Foreign Affairs (DFA). The Office of Consular Affairs is the office responsible for issuing passports for Filipino citizens. Originally, the Office of Consular Affairs was located in the DFA compound located along Roxas Boulevard in Pasay City. 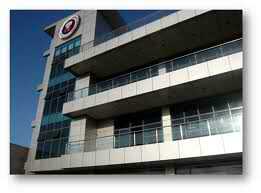 However, in 2010, the Office of Consular Affairs was transferred to Aseana Business Park in Paranaque City. The office could be found along Diosdado Macapagal Avenue corner Bradco Avenue. Visit my article, Tips on Applying for a Philippine Passport, for information on applying for passport. The new building of the Office of Consular Affairs is high-tech as compared to its old building. Also, the old passport application procedures were changed. Visit my post, Tips on Applying for a Philippine Passport, for information in applying for a passport. Here is the map showing the location of the Office of Consular Affairs. Click on the map for a bigger view. There are two ways of getting to the Consular Affairs Office in Paranaque City. One is to ride a bus that has a placard saying “MIA,” which stands for Manila International Airport. Buses with this placard could be found along EDSA and go around the big globe monument of Mall of Asia before passing along Diosdado Macapagal Avenue. These buses pass right in front of the Consular Affairs Office. Another way is to go to SM Mall of Asia and ride a Baclaran bound jeepney at the terminal there. Those jeepneys ply along Diosdado Macapagal Boulevard and in front of the Consular Affairs Office. So, those are the way on how to reach the new location of the Consular Affairs Office. My only tip for you is to ask questions when you are riding so as to make sure that you are boarding the right bus or jeep. Photo taken from DFA website. Map taken from Google Maps. may pupcet reviewer ka po ba nung kumuka ka mageexam ka ?